Whispers in the Loggia: "Do We Let God Lead Us... To Not Be Afraid To Give?" – On Corpus Christi, Francis Calls Church Beyond Its "Fence"
"Do We Let God Lead Us... To Not Be Afraid To Give?" 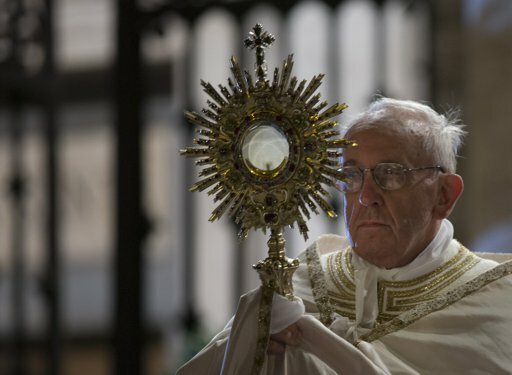 – On Corpus Christi, Francis Calls Church Beyond Its "Fence"
Even if the text of the preach is making the rounds, again, remember well that this Pope wishes to be heard as opposed to merely being read. 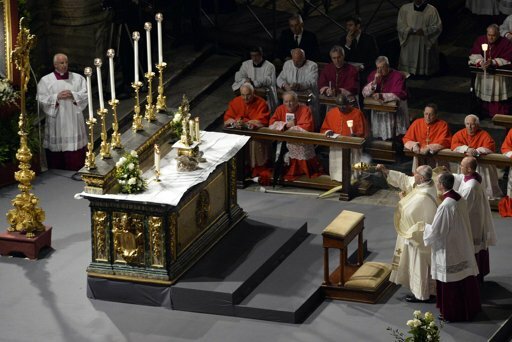 While the feast is always marked by the pontiffs on the Thursday after Trinity Sunday – its traditional setting, which recalls the institution of the Eucharist on Holy Thursday – where the weekday isn't a holy day of obligation, the observance is now transferred to Sunday, which is the case across the lion's share of the global church. For the first time in two decades, Francis walked the traditional mile-long procession from Rome's cathedral to St Mary Major behind the flatbed truck that carried the exposed Blessed Sacrament, instead of riding on the vehicle and spending the route on his knees before the monstrance. While the choice surprised some, it bears recalling that, as cardinal-archbishop of Buenos Aires, Jorge Bergoglio led an annual walking procession from the city to the shrine of Argentina's patroness, Our Lady of Luján, located some 40 miles outside the capital. Said Marian devotion already well in evidence over his two months on Peter's chair, tomorrow night will see Francis close out Mary's month by leading a public recitation of the Rosary in St Peter's Square.